UPDATE 2012-07-29: Hmm, I’m getting some weird mouse behaviour after disconnecting from AirDisplay. I’ll look into this some more tomorrow. Multiple monitors are great for productivity. You can see more of what you’re working on. You don’t have to switch between applications. You don’t have to remember snippets as you move from window to window. I want to work with multiple monitors, but I don’t want to be confined to the desktop downstairs, or to take up valuable kitchen table space with an LCD. 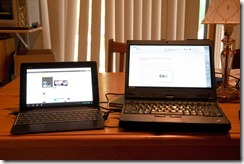 At 1920×1200, the Asus Infinity TF700 tablet has a higher resolution than my laptop (Lenovo X220 tablet, 1366×768). 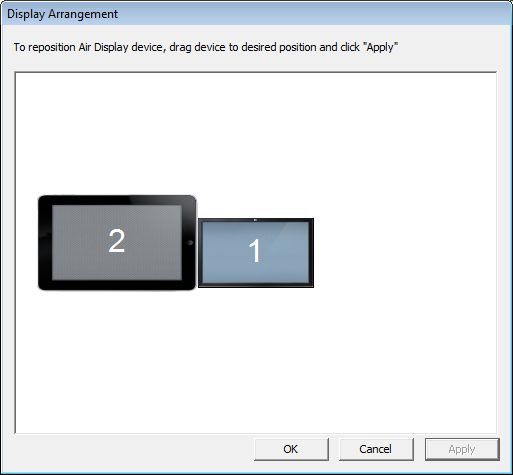 The Air Display app ($4.99 in Google Play) makes it easy to set up a tablet as a second monitor for your Mac or Windows computer if they’re on the same wireless network. I installed the app on my tablet, installed the PC version on my laptop, restarted my computer, and set up the connection. 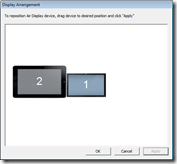 Now I can drag windows over or use keyboard shortcuts to move my windows to the tablet. I can touch the tablet to interact with my computer, although the hardware keyboard on my dock doesn’t work. The display has some lag, but it’s useful enough for reading references or checking websites. Air Display sets my laptop’s graphics scheme to Windows Basic, which removes a lot of the fancy visual effects that Windows uses to make things prettier. 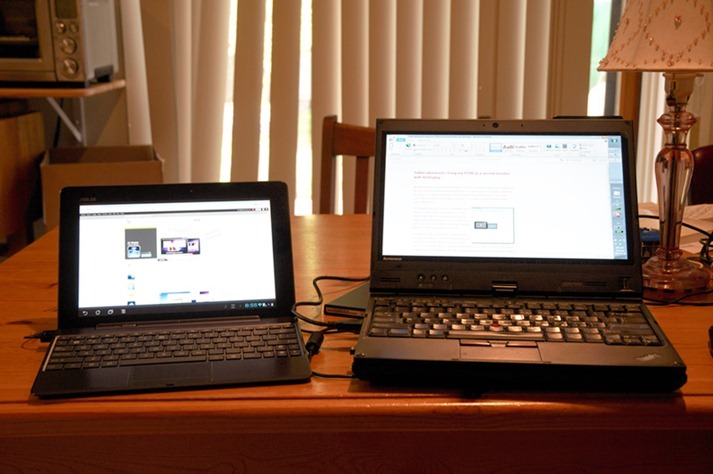 It’s a small price to pay for the ease and portability of having a second monitor. Air Display (Android, $9.99 $4.99) – Looks like they increased the price!